Covered by ancient woodland, tranquil olive groves and beautiful medieval towns, Tuscany is undoubtedly one of the most romantic destinations in the world. 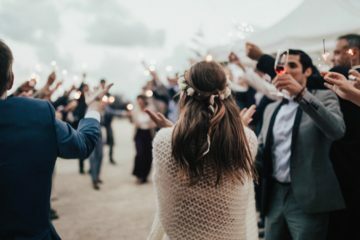 With wine flowing from the surrounding vineyards, and a ceremony held under the bright Italian sun, destination weddings in the region are an absolute dream that guests remember for years to come. 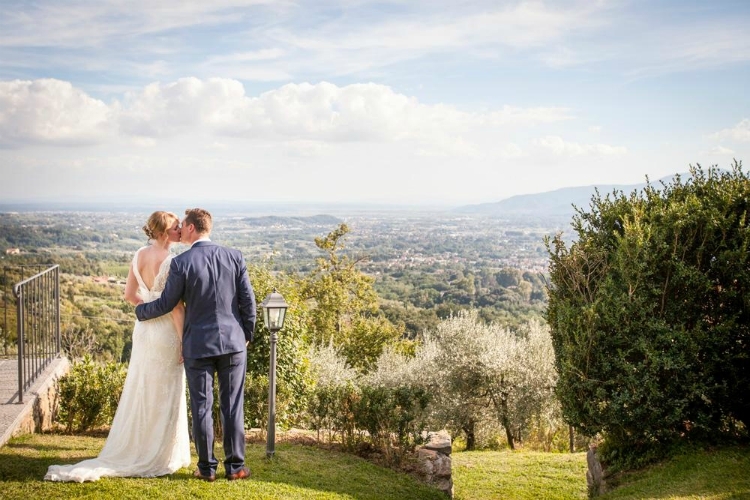 Best of all, Oliver’s Travels have a fantastic selection of the best wedding venues in Tuscany, ranging from grand chateaux to chic and rustic country houses. 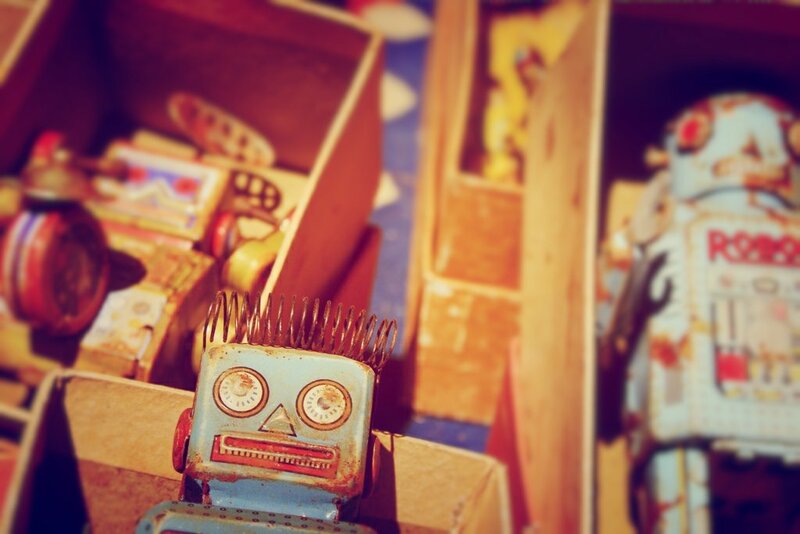 We’ve gathered our top five from the collection; all spread out in different parts of the region for you to sample. If you would like to close in your search, have a chat with our wedding consultant who is happy to help you plan your day down to the tiniest detail. 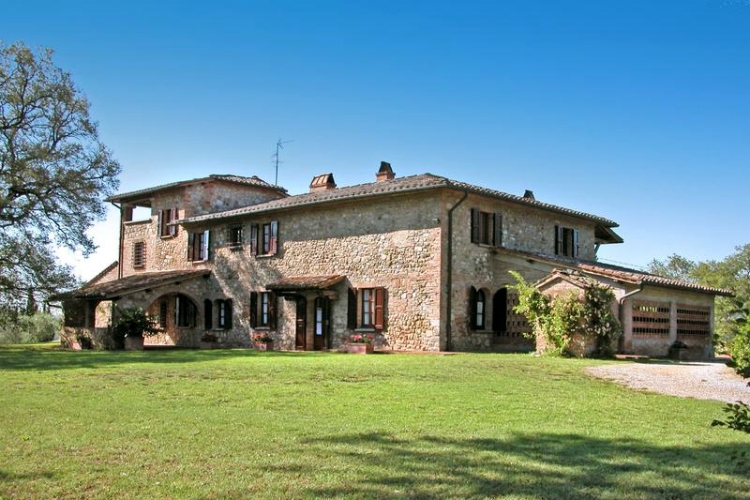 On the very outskirts of the old Etruscan town of Lucca, you’ll find Segromigno Farmhouse, a recently restored property overlooking a breathtaking plain in the enchanting Tuscan countryside. At this rural dwelling, you will feel as though you are getting married in the middle of nature, surrounded by the magical atmosphere of bygone times. 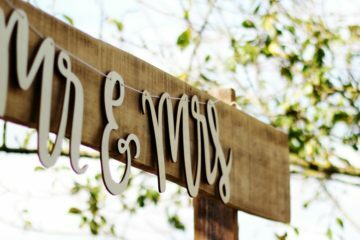 The farmhouse lies within a landscape of old olive groves and oak forests, a fantastically romantic scene for any wedding. 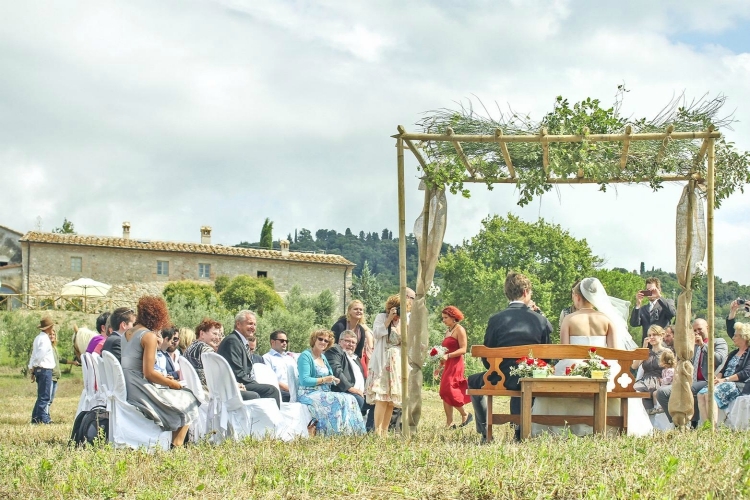 The owners of Segromigno Farmhouse adore hosting weddings, and will be happy to help with transfer, flowers, catering and anything else the bride and groom have in mind. Your wedding celebrations will be hosted in the gorgeous “Wedding Garden”, while food can be served on the pool patio and dancing held in the rustic wine cellar. All with a touch of classic Italian elegance. Enjoy a romantic country wedding at Villa Soldani, steeped in the enchanting atmosphere of the Arezzo province bordering on Chianti. The villa is eclectically decorated with fabulous antiques and can dine large parties by candlelight in the formal dining room (or even larger parties in the gardens and patio). Enjoy an amazing Tuscan wedding feast, prepared by the estate’s family chefs and accompanied by their own wines. The owners and staff at Villa Soldani sure know a thing or two about weddings and have even hosted a celebrity ceremony catered by Jamie Oliver. A Catholic ceremony can be held in the medieval church of Galatrona just opposite the villa, whereas civil ceremonies are best hosted in the town hall of Bucine or the Palazzo d’Arnolfo in San Giovanni Valdarno. The villa grounds themselves are best suited for symbolic ceremonies and, of course, the greatest of celebrations among the centuries-old cypress trees, olive groves and vineyards. 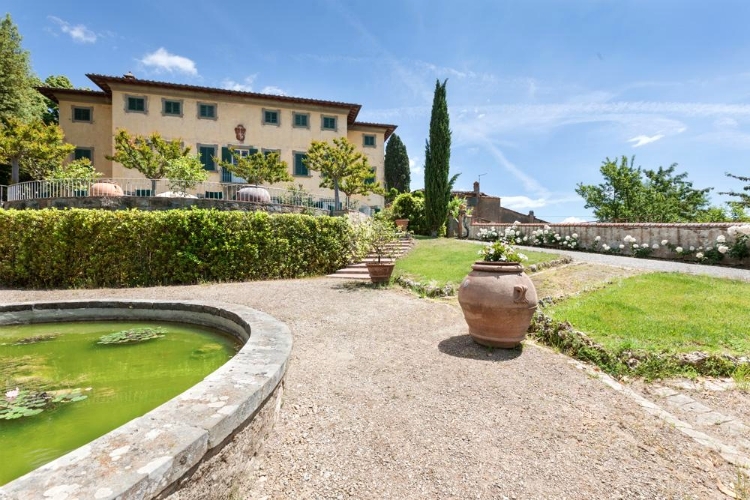 Basking in the atmosphere of close by art cities Florence and San Gimignano is the magical old stone farmhouse Villa Monte Nero. With its traditional luxurious Tuscan stylings and 360-degree views of the surrounding countryside, it’s an impeccable site for a Tuscan wedding. The family who owns Villa Monte Nero has also operated a catering company for well over three decades, and they specialise in weddings! They can offer you the absolute best for your special day, with menus that are vast and never predictable. Every wedding at Monte Nero is built with the customer to suit them, from decor to dancefloor. After a big night of celebrating epic love, there are also luxurious spa facilities in the villa where the newlyweds can unwind in your their own private sanctuary. Surrounded by the picturesque and seemingly endless country landscape near the Renaissance treasure of Montepulciano, you can have your perfectly chic and rustic wedding at the stately stone farmhouse known as Villa Bello. Some seriously romantic celebrations will be held here, situated on over 180 hectares of lush farmlands, surrounded by sunflower fields and looking out over beautiful hills and valleys. The villa can host the happy couple as well as a group of guests over four classic Tuscan apartments, whereas wedding celebrations perfectly tailored to your own wishes can be held in the landscaped gardens marquee. While the local wine is flowing, guests can dance the night away, explore the farmlands, gather on the loggia for a toast or sneak away for a quiet moment by the ancient stone table on the hillside. 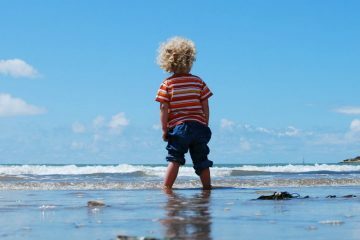 With a backdrop like this one, memories are sure to last. Less than an hours drive from the medieval city of Siena, the 11th-century Cistercian monastery known as Pape Touna awaits your intimate, romantic, country-chic wedding. 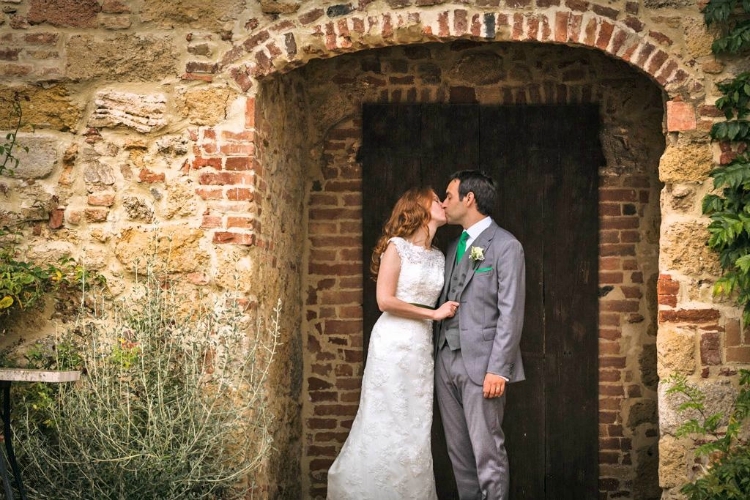 The newly restored estate with its rustic finish, exposed brickwork and wooden beams create an inescapable sense of history for a wedding that embraces the landscape of the Val di Merse. The old monastery is close to the San Galgano Abbey where civil ceremonies can be held, as well as to the Chapel of Montesiepi for a religious rite. The gardens of Pape Touna are perfect for a symbolic ceremony and amazing celebrations held in the middle of the 200-hectare farm. Owners of the property will be thrilled to help you with planning and catering, and can arrange both a welcome dinner (maybe a pizza party?) and a brunch on the day following the wedding to help your guests recover after a big night. 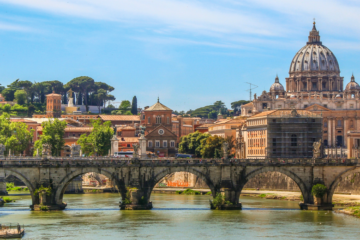 Now that you’ve had a little taste, we thought we’d remind you that Oliver’s Travels has loads more options to choose from with castles and villas all across Italy. So have a look at which of our properties matches your dream wedding venue and get in touch with our concierge and wedding expert who are happy to help you on your way to the big day.